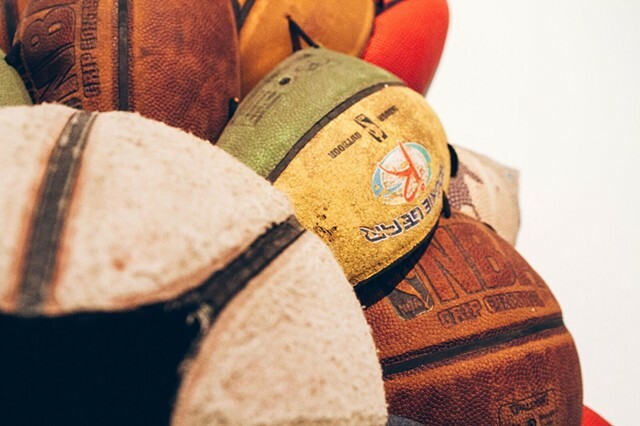 The concept of the basketball bloom comes from my experiences with the sport of basketball as a communal act. 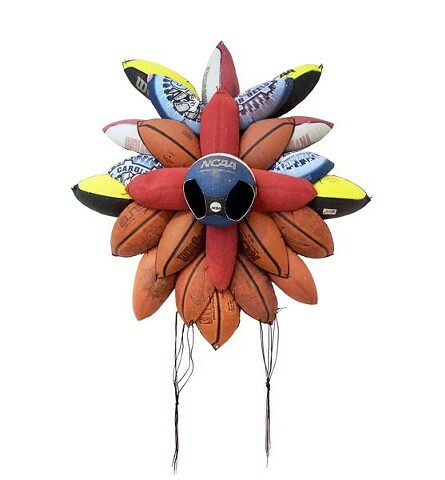 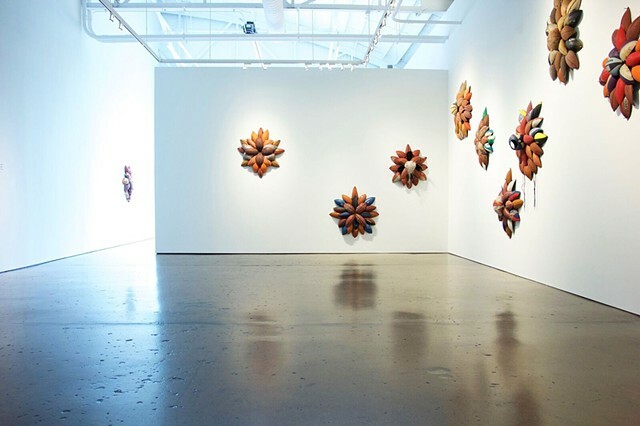 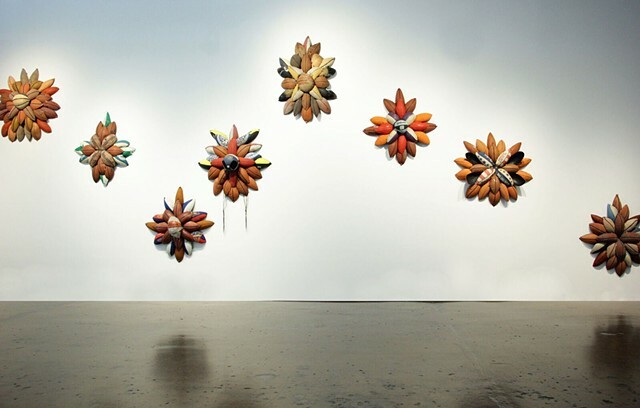 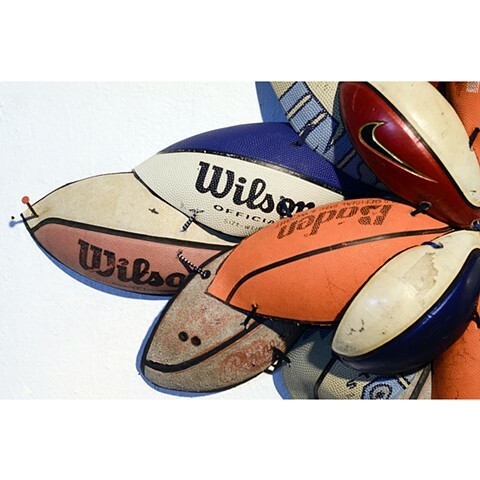 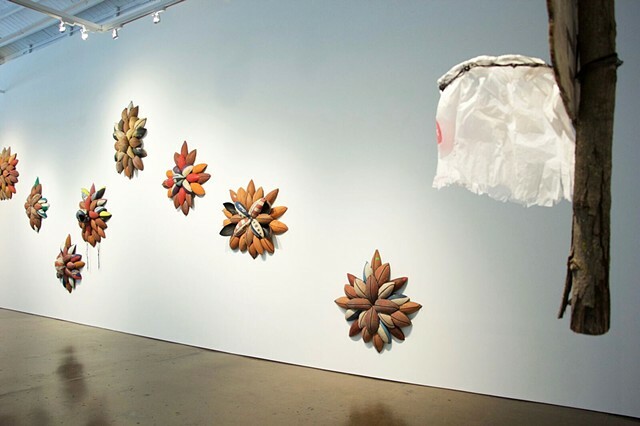 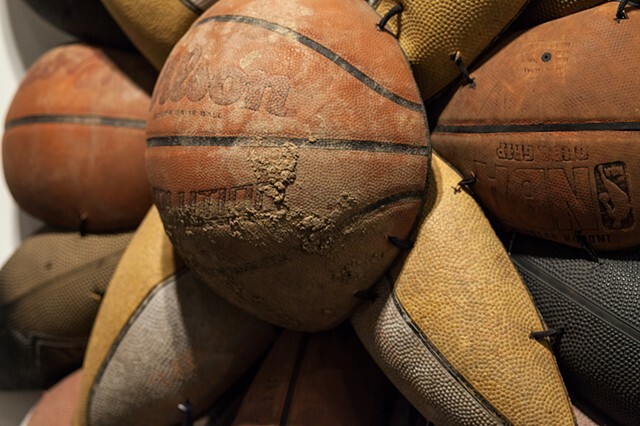 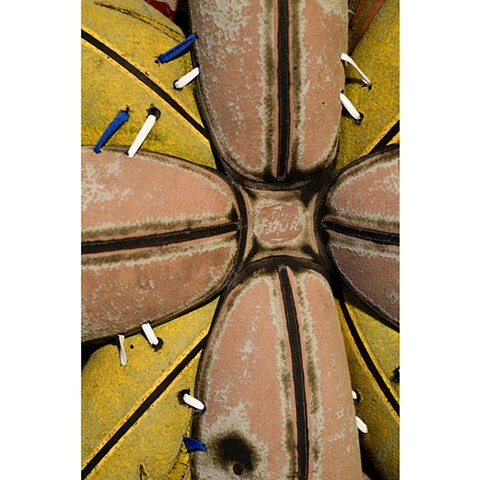 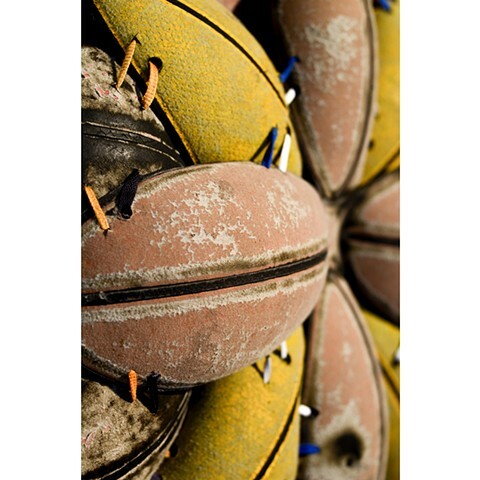 The series, is composed of disassembled basketballs, some pristine, others scuffed and worn. 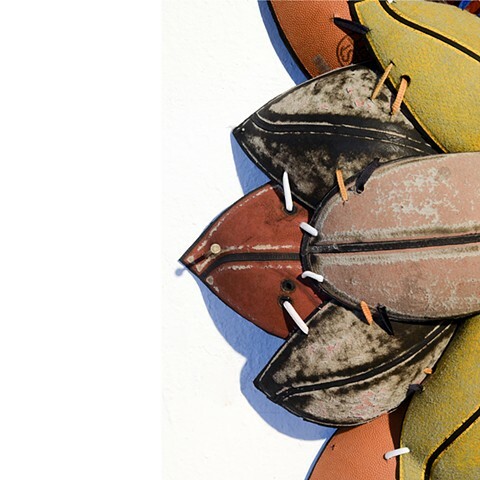 Each ball is roughly oval, suggesting a disembodied head, a substitute for a person, a melancholic allusion to a life that has never had the opportunity to bloom.